This solid copper ring is adjustable slightly by opening it up. 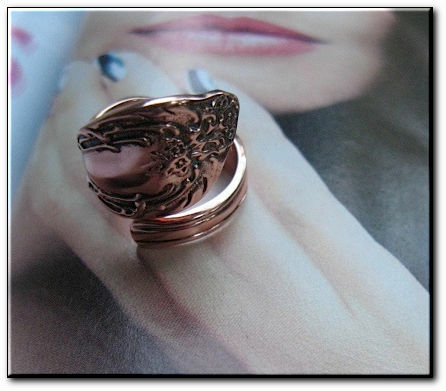 The ring can be adjusted from sizes 7, 8 and 9. Beautiful detail and very durable.